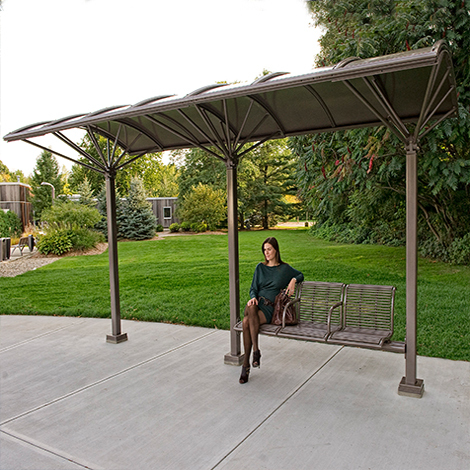 The Kaleidoscope shelter is an open modular structure configured from Kaleidoscope post-and beam-system elements to meet the specific requirements of individual transport stops. 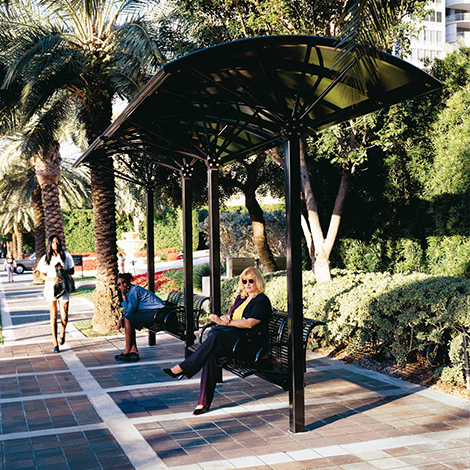 Using a few basic elements such as posts, canopies, seating and lighting, landscape designers can create a bus stop shelter or commuter station shelter that fits the site. LED lighting is optional and a solar solution is available. 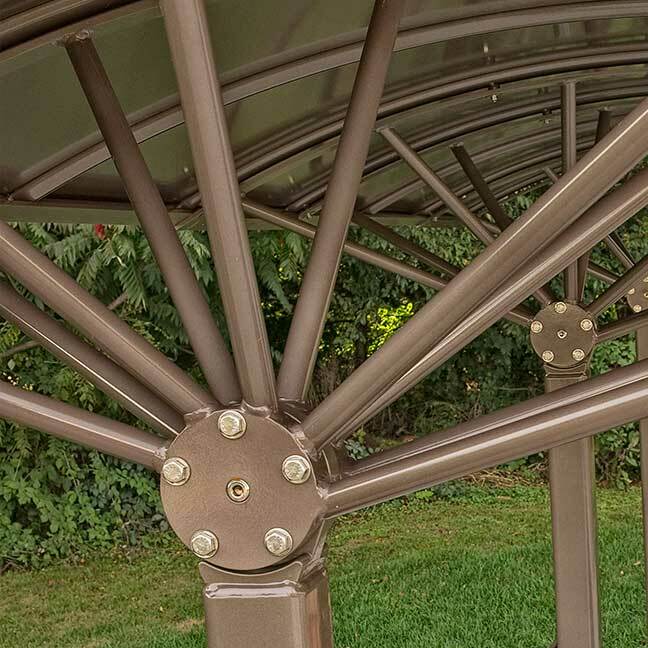 The Kaleidoscopes open structure, creates outdoor structures of exceptional utility, stability and style. 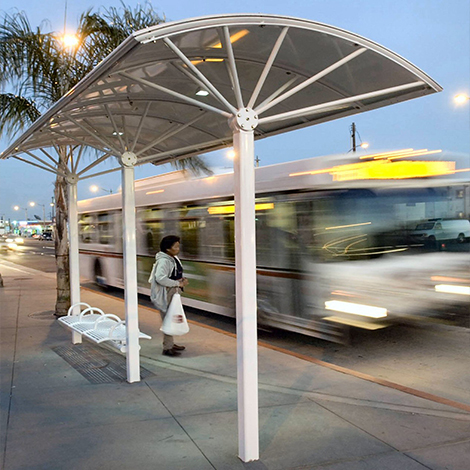 A foot lower in height than its predecessor, Kaleidoscope has improved pedestrian scale. The shelter is open on all sides and can withstand wind loads up to 146 mph. 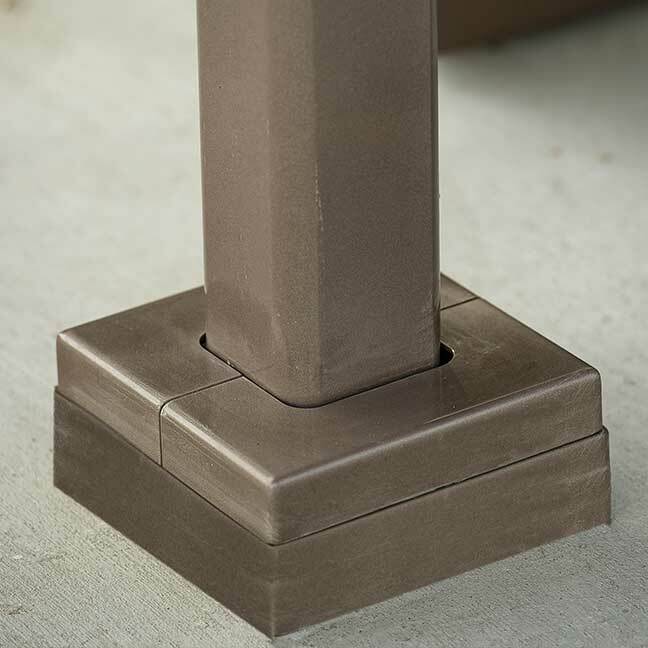 The Kaleidoscope can be mounted below ground or surface mounted for ease of installation and retrofit. Optional solar-powered LED lighting turns on at dust and turn off at dawn.